If you thought plantains were just banana’s weird, useless cousin, you’re in for a surprise. Plantains are incredibly versatile and can be prepared lots of different ways without tasting the same. They don’t taste much like bananas at all, actually. Part of the reason plantains are so versatile is that they come in two varieties: green and yellow/black. The green ones are starchy and work best for this recipe. 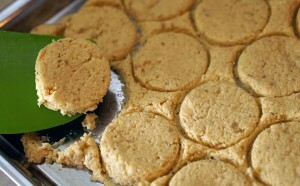 The yellow/black ones are sweeter, and you can find tons of recipes using them on other Paleo blogs. 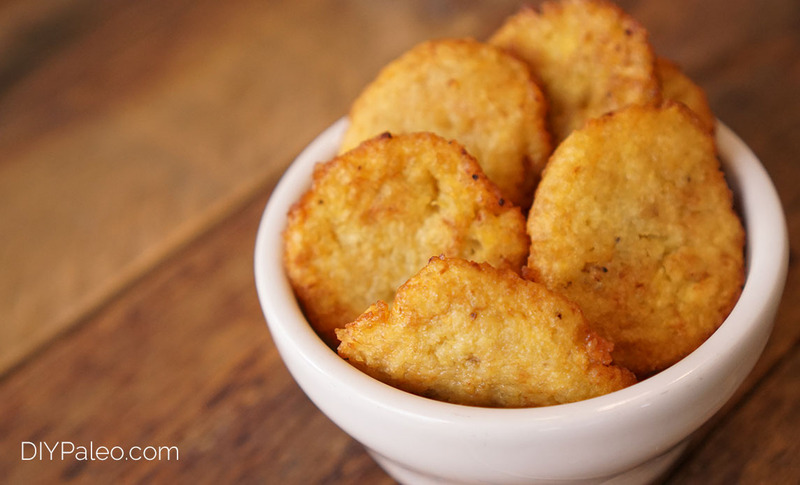 Plantains can be fried, baked or grilled, and they’re even higher in nutrients than bananas, as discussed in this post by Paleo Leap. Plantains might be related to bananas, but they’re more difficult to peel. The easiest way is to use a paring knife and peel the plantain the way you would an apple. I made these fritters thinking I would try my hand at tostones, or twice-fried plantain slices. But, given that I try to invent recipes without “cheating” and looking up other recipes first, I really had no clue what a tostone was supposed to look or taste like. I was pleasantly surprised at the plantain fritter recipe I came up with though. The fritters are crispy on the outside and chewy on the inside, and they’re divine with guacamole. After the first deep frying, I didn’t see any need to flatten the fritters and re-fry them. I thought they were perfect as-is. Despite their perfect texture straight out of the pan, the fritters do kind of dry up when stored in the fridge for a few days. You can reheat them in a frying pan (no oil) for leftovers, but if you’re going to be serving them at a party, make ’em fresh. 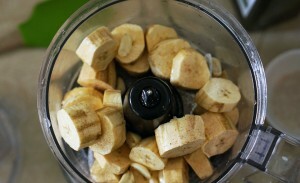 Peel plantains, then cut into chunks and place in a blender or food processor. 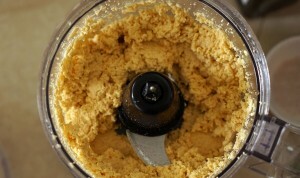 Add peeled garlic cloves, salt and avocado oil, then blend on high for 1 minute until a smooth dough forms. Transfer dough to a cutting board. Spread into a ¼-in. thick sheet, then cut into circles using a shot glass or other small glass. You want circles about 2 inches in diameter. 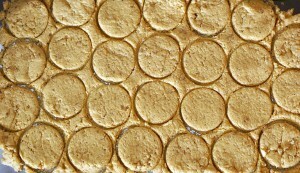 You could also cut the dough into squares. Heat about ½ cup of avocado oil in a small saucepan on the stove. Using a spatula, carefully peel the dough circles off the cutting board and drop them into the hot oil, being sure not to crowd them in the pan. My saucepan held about 4 at a time. Fry for about 4 minutes, or until golden but not brown. 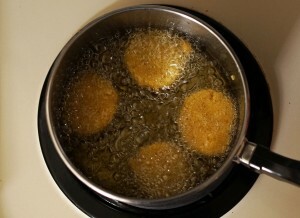 Remove fritters from oil and transfer to a colander to cool and drain excess oil. Serve with guacamole.